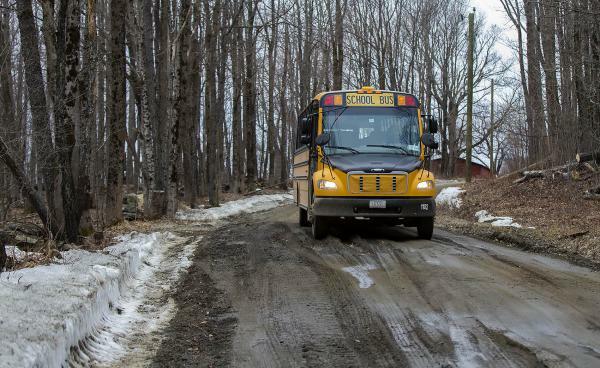 It’s hard for rural schools in Massachusetts to get kids to and from class every day — especially now, in muddy season, when the snow has melted and the rain begins. 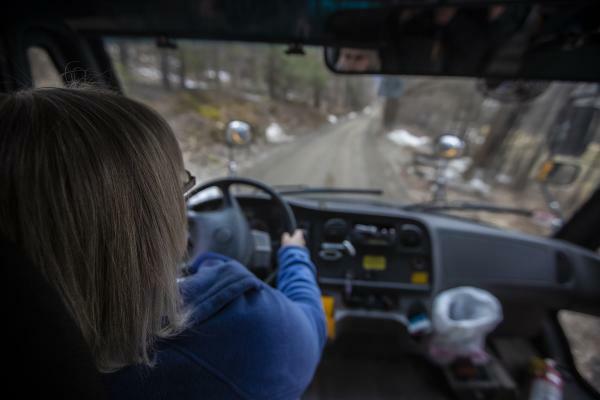 “This is mud and ruts and a mess,” says bus driver Joanne Deady as she points to the narrow, unpaved road on her route from Colrain Central School in northwestern Massachusetts. It’s just after the school day and she’s about halfway through her route. Standing between her and the next drop-off is a big patch of what she calls “greasy mud” — the kind her bus can easily get stuck in if it’s deep enough. “We’ve got a steep drop-off with leaves, dirt and trees,” she says with a firm grip on the wheel. Deady slowly makes her way through the mud, occasionally giving the roughly 20 elementary school kids on board some firm reminders to sit down and stay out of the aisles. During the winter months, it’s snow and ice that make this route treacherous. Sixth grader Kaiden Piantanida knows firsthand how getting the bus through that can be a team effort. “Two times I’ve had to bring a bucket of salt down so we can salt under the wheels to try to get it running,” he explains. And while this is all part of a day’s work for Deady, it can still be stressful. Because if she gets stuck on this long route, help could be a ways away. When conditions are at their worst, she adds, she needs a set of backup vans to pick up the kids and take them the rest of the way. “Transportation here is a whole different animal,” says Michael Buoniconti, the superintendent of the Mohawk Trail Regional School District. Muddy roads are one of many issues that school leaders face when trying to get their students to and from class in this district’s rugged terrain, which spans more than 250 square miles. And it can get expensive. For example, a bridge along one route is about to be shut down because it’s unsafe. School facilities director Robin Pease has to find a fast way around the bridge and soon. The state and district officials don’t want kids sitting on buses for too long each day. So if Peas’ new route isn’t short enough, she’ll have to add an additional route. That would cost the district about $45,000 a year. All of those extra costs add up to a hefty bill. For Buoniconti’s district it’s about $1,000 per student each year. That’s more than double the statewide average. “It’s a major issue in our annual budgeting process,” he says. Buoniconti adds that that budgetary pinch has gotten tighter over the last few years. This district, like many other rural school systems, have been declining in enrollment. Between 2008 and 2017, rural schools in the state lost 14 percent of their students. Fewer students translates to less funding overall from the state. “It impacts how many teachers we can hire and how many textbooks we can buy,” Buoniconti explains. He said he and other rural school leaders are running out of places to cut. Most of his elementary schools have one class per grade. But if the district keeps getting squeezed, the possibility of combining some grades is on the table. Buoniconti says doing that would shortchange the teachers and the students. To make each dollar go further, Buoniconti has teamed up with other rural school systems. They’re working out a way to share services like bus coordination. They also plan to buy supplies together to create economies of scale. Rural school officials are also looking to the political world for solutions. They’re asking lawmakers this session for more state funding. One proposal on the table is to increase a rural school aid line item from $1.5 million to $9 million. The Massachusetts Rural Schools Coalition is also pushing to have a “rurality factor” added to the state school funding formula. If approved, schools serving a population that makes less than 115 percent of the state’s mean per capita income and includes less than 40 students per square mile would qualify for an additional $400 per student. Gov. Charlie Baker’s administration says it’s considering the proposals. These proposals come as state lawmakers are already weighing other proposals to make big changes in school funding across the board. 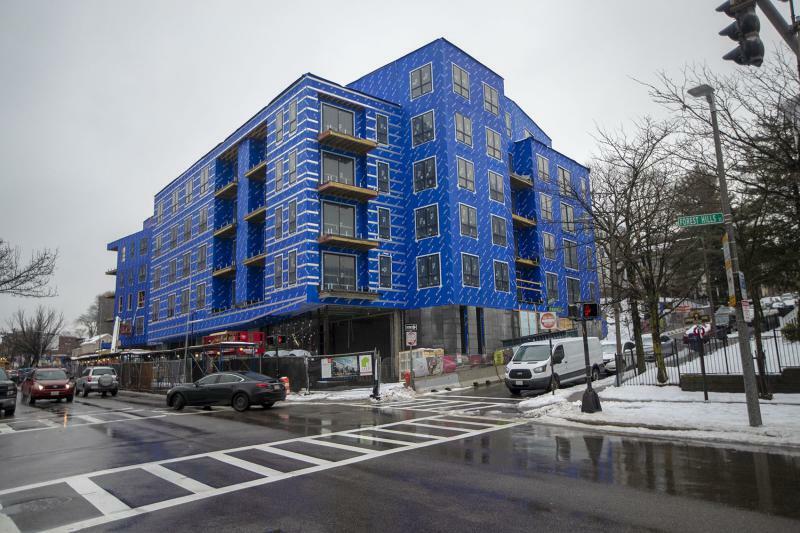 Part 1 of a four-part series about affordable housing in Boston. Here are Parts 2 and 3. Alex Ponte-Capellan grew up in Lower Roxbury, near Jamaica Plain’s Egleston Square, in the ’90s and early 2000s. 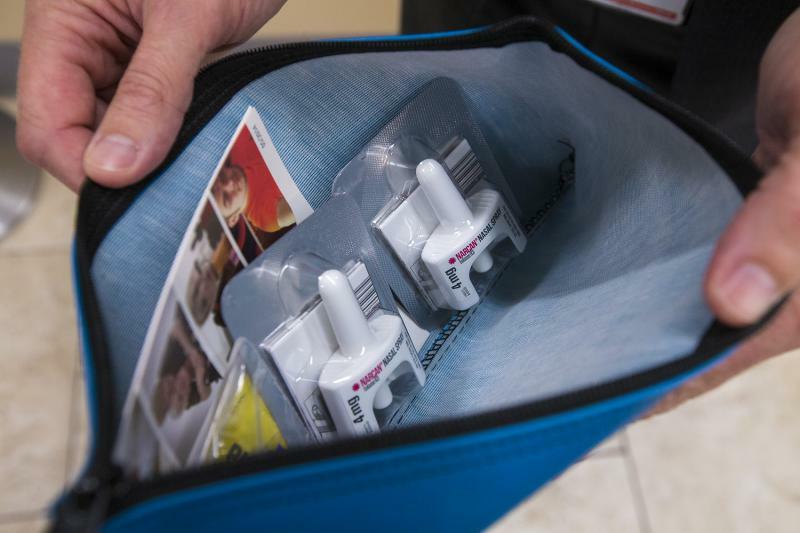 Opioid overdose deaths are down in Massachusetts. The latest quarterly data from the Baker administration show 4 percent fewer fatalities in 2018 as compared to 2017. That’s 82 fewer men and women who could not be revived after an overdose, according to preliminary estimates. What's Taken Greenfield, Mass., So Long To Stop Calling Itself A Town? In official state documents, we used to be referred to as “The City known as the Town of Greenfield.” Kind of embarrassing.